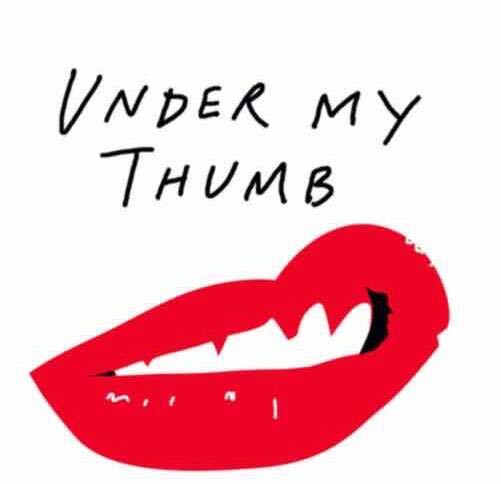 Under My Thumb is a collection of women’s music writing, edited by Eli Davies and me, in which contributors discuss being fans of politically dubious music, artists and songs. It’s out in October from Repeater Books and available to pre-order now. Artists covered, in-depth or in passing, include: Dion and the Belmonts, Frankie Valli and the Four Seasons, Carole King, The Crystals, Phil Spector, Bob Dylan, Pulp, Gary Puckett & the Union Gap, Anni-Frid Lyngstad, The Rolling Stones, Lou Reed, Iggy Pop, David Bowie, Pure Prairie League, Rod Stewart and The Faces, Eddie Cochran, AC/DC, Van Halen, Guns ‘N’ Roses, L7, Elvis Costello, murder ballads, Nick Cave, Sir Mix-a-Lot, Run the Jewels, 2Pac, Eminem, Weezer, The Divine Comedy, Jarvis Cocker, Combichrist, Jay-Z, The Libertines, My Chemical Romance, Fall Out Boy, Kanye West, The-Dream, Swans, Taylor Swift. Full list of contributors: Amanda Barokh, K. E. Carver, Marissa Chen, Zahra Dalilah, Eli Davies, Judith May Fathallah, Anna Fielding, Alison L. Fraser, Laura Friesen, Beatrice M. Hogg, Rhian E. Jones, Jacey Lamerton, Abi Millar, Emily McQuade, Frances Morgan, Christina Newland, Elizabeth Newton, Stephanie Phillips, Nina Power, Charlotte Lydia Riley, Kelly Robinson, Jude Rogers, Jasmine Hazel Shadrack, Em Smith, Johanna Spiers, Manon Steiner, Fiona Sturges, Rachel Trezise, Larissa Wodtke. Rare articles that make me want to stand on a chair and throw flowers. Bravo, Stuart Jeffries, although this piece is about a third too long. Also, you know what I’m bored of? I’m bored of middle-class pontificators referencing Situationism. It’s a useful analytical tool for any bedroom-bound fourteen-year-old Manics fan (hi! ), but give it a rest now, you’re making it about as interesting as dubstep.